Vinification: De-stemming, cold maceration on the skins for two days at 5°C, fermentation at 26°-28°C with frequent re-circulation and removal of the must. Malolactic fermentation in stainless steel, and a period in contact with the fine lees of at least five months. Successive fining in the bottle. "Wine Spectator" has rated the wine "Cusumano Nero d'Avola Terre Siciliane IGT, Sicily, Italy" from the vintage 2015 on 31.08.2016 with 87 of 100 points. "Wine Enthusiast" has rated the wine "Cusumano Nero d'Avola Terre Siciliane IGT, Sicily, Italy" from the vintage 2014 on 03.01.2016 with 86 of 100 points. "Wine Spectator" has rated the wine "Cusumano Nero d'Avola Terre Siciliane IGT, Sicily, Italy" from the vintage 2014 on 30.06.2015 with 87 of 100 points. "Wine Spectator" has rated the wine "Cusumano Nero d'Avola Terre Siciliane IGT, Sicily, Italy" from the vintage 2013 on 30.09.2014 with 85 of 100 points. "Vinous Antonio Galloni" has rated the wine "Cusumano Nero d'Avola Terre Siciliane IGT, Sicily, Italy" from the vintage 2012 on 01.03.2014 with 89 of 100 points. "Wine Spectator" has rated the wine "Cusumano Nero d'Avola Terre Siciliane IGT, Sicily, Italy" from the vintage 2011 on 31.05.2013 with 87 of 100 points. "Wine Enthusiast" has rated the wine "Cusumano Nero d'Avola Terre Siciliane IGT, Sicily, Italy" from the vintage 2011 on 03.01.2013 with 87 of 100 points. 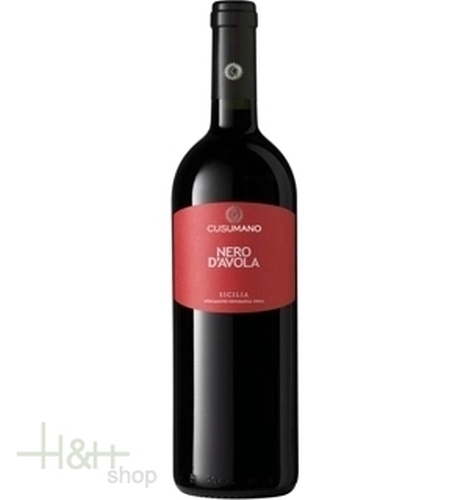 "Wine Enthusiast" has rated the wine "Cusumano Nero d'Avola Terre Siciliane IGT, Sicily, Italy" from the vintage 2010 on 04.01.2012 with 87 of 100 points. "Wine Enthusiast" has rated the wine "Cusumano Nero d'Avola Terre Siciliane IGT, Sicily, Italy" from the vintage 2009 on 04.01.2012 with 86 of 100 points. "Wine & Spirits Magazine" has rated the wine "Cusumano Nero d'Avola Terre Siciliane IGT, Sicily, Italy" from the vintage 2009 on 01.06.2011 with 87 of 100 points. "Wine Spectator" has rated the wine "Cusumano Nero d'Avola Terre Siciliane IGT, Sicily, Italy" from the vintage 2009 on 31.12.2010 with 86 of 100 points. "Wine Spectator" has rated the wine "Cusumano Nero d'Avola Terre Siciliane IGT, Sicily, Italy" from the vintage 2008 on 31.10.2009 with 84 of 100 points. "Wine Spectator" has rated the wine "Cusumano Nero d'Avola Terre Siciliane IGT, Sicily, Italy" from the vintage 2007 on 31.08.2008 with 83 of 100 points. "Huon Hooke" has rated the wine "Cusumano Nero d'Avola Terre Siciliane IGT, Sicily, Italy" from the vintage 2006 on 14.08.2008 with 84 of 100 points. "Wine & Spirits Magazine" has rated the wine "Cusumano Nero d'Avola Terre Siciliane IGT, Sicily, Italy" from the vintage 2006 on 01.06.2008 with 84 of 100 points. "Wine Enthusiast" has rated the wine "Cusumano Nero d'Avola Terre Siciliane IGT, Sicily, Italy" from the vintage 2007 on 11.01.2008 with 86 of 100 points. "Wine Spectator" has rated the wine "Cusumano Nero d'Avola Terre Siciliane IGT, Sicily, Italy" from the vintage 2006 on 15.12.2007 with 87 of 100 points. "Wine Spectator" has rated the wine "Cusumano Nero d'Avola Terre Siciliane IGT, Sicily, Italy" from the vintage 2005 on 30.04.2007 with 85 of 100 points. "Wine Spectator" has rated the wine "Cusumano Nero d'Avola Terre Siciliane IGT, Sicily, Italy" from the vintage 2004 on 30.04.2006 with 88 of 100 points. "Wine Enthusiast" has rated the wine "Cusumano Nero d'Avola Terre Siciliane IGT, Sicily, Italy" from the vintage 2005 on 07.01.2006 with 87 of 100 points. "Wine Enthusiast" has rated the wine "Cusumano Nero d'Avola Terre Siciliane IGT, Sicily, Italy" from the vintage 2004 on 07.01.2006 with 87 of 100 points. "Wine & Spirits Magazine" has rated the wine "Cusumano Nero d'Avola Terre Siciliane IGT, Sicily, Italy" from the vintage 2003 on 01.06.2005 with 85 of 100 points. "Stephen Tanzer" has rated the wine "Cusumano Nero d'Avola Terre Siciliane IGT, Sicily, Italy" from the vintage 2012 with 89 of 100 points.